I've been asked a couple of times recently about what I miss most about big-city life. As you might expect, we miss our friends, family and familiar things most. But when asked, "Right, but besides that? ", I was surprised when I piped up with, "Chinatown and Yum Cha". 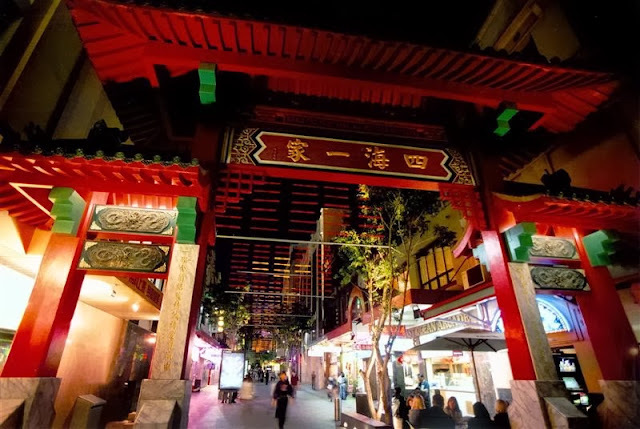 The Chinese influence on Australia is wonderfully evident in our big cities and, let's face it, just about every country town has a Chinese restaurant (serving Chinese and Australian meals) or two. Even Bangalow, where I now live, has a cheap-and-cheerful Chinese restaurant - Tsang's. Tsang's has all the loved-by-Australians classics (Sesame prawn toast, bright pink sweet and sour pork, and honey king prawns) and a few quirks like Thai green curry chicken (umm....). But Tsang doesn't do Yum Cha. As a kid in Sydney, by far the best birthday treat I could have was an expedition for Yum Cha. And an expedition it was: A ferry trip to Circular Quay, a train to Central, then a walk through the Dixon Street gateway and into a completely different world - Chinatown. Dixon Street, Sydney. Image nicked from The Otago Daily Times. Mum would navigate the chaos and clamour, and within minutes we'd be through a doorway, ascending stairs by which an ornamental waterfall cascaded into a shallow pool speckled with goldfish with bulging eyes. And then, there it was. 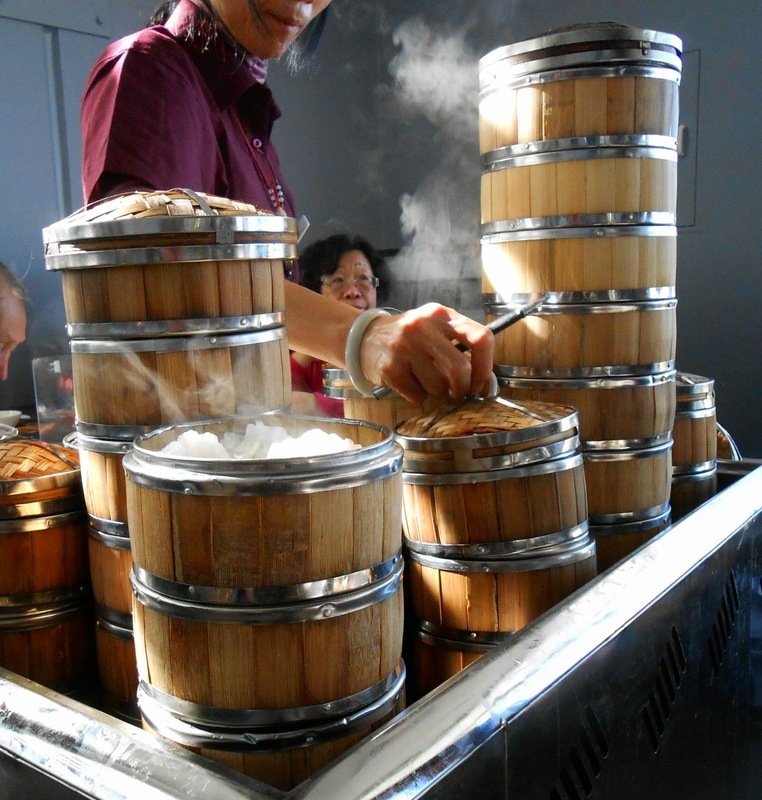 An enormous room thrumming with a typewriter percussion of clattering plastic chopsticks, bowls being stacked and unstacked apace, and the unusual sight of leaning steamed basket towers jiggling around the room on trolleys and being offloaded onto enormous circular tables. In those days, my culinary bravery didn't extend much further than pork buns and spring rolls. Over the years my Yum Cha repertoire broadened a bit, especially when I befriended an Australian-Chinese colleague. We became a bit of a regular fixture at Zilver, and I now at least know what most of the tid-bits in the baskets are. From Sydney to Melbourne, London, New York and even Havana, I've wandered the familiar streets of far-flung Chinatowns. 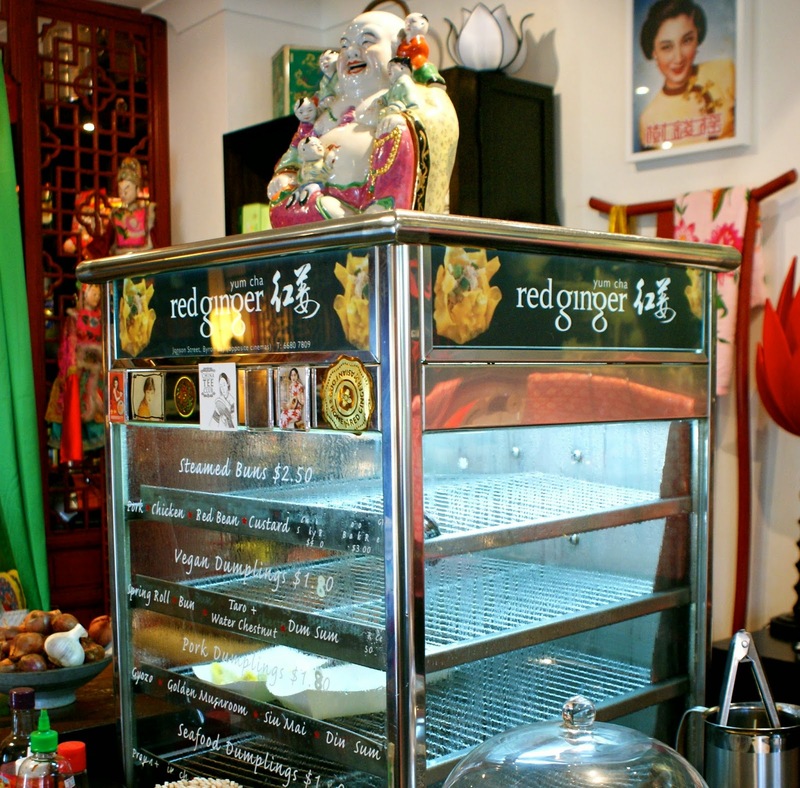 But back in Bangalow, whilst Tsang's won't accommodate my Yum Cha yearnings, the gorgeous Red Ginger does stake a claim in this space. 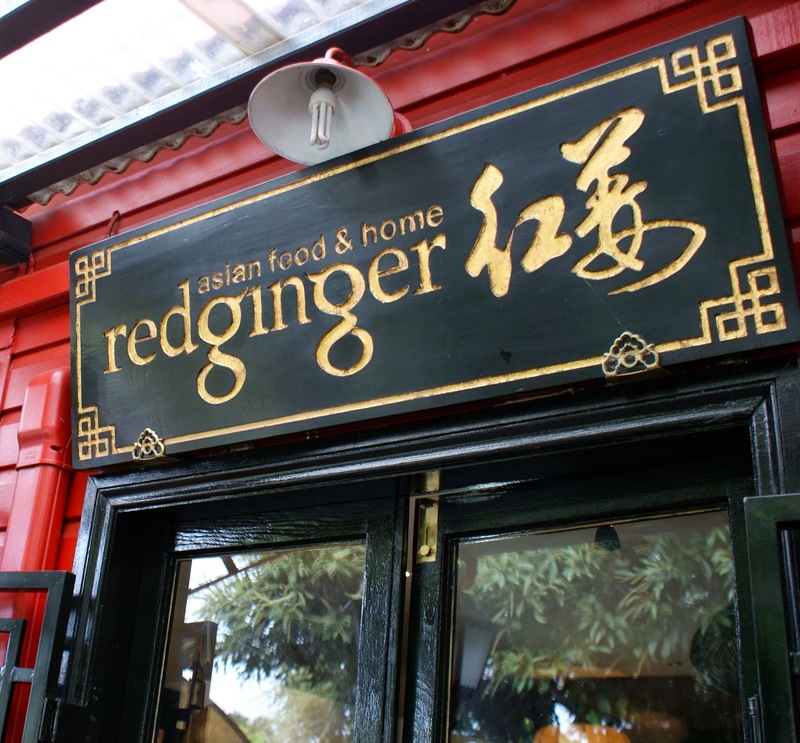 Red Ginger does a roaring trade in lovely Asian knick-knacks, cookbooks, sauces and ingredients. But it has a very pleasing side-business made possible by a large, glass steamer-box fitted proudly to the store's counter. Its contents are surprisingly delicious and provide the occasional fix for this dim sum addict. Delicious (and empty this afternoon)? Yes. But, does it give me the complete fix? Not quite. Like all addictions it can be an incessant distraction. Earlier this week I flew from Cairns to Brisbane and found myself enjoying a bit of mid-flight Yum Cha reverie. Wistfully somewhere between a pork bun and chicken feet, I looked up and spotted a trolley headed my way. Shifting in my seat, wondering what steaming wonders awaited, my culinary fantasy was shattered by the reality of everything else I could hear and see. I reckon it's as close as you can get to a smoker's nicotine craving a few hours into a longhaul flight. I felt an urge to duck off to the loo, tamper with the alarm, and tuck into a Shangahi dumpling. And that's where this idea was born. Airlines, stop serving slop. You're already geared up with the hardware. All you need now are the bamboo baskets and we can all join the shumai-high club. At five bucks a basket, hello ancillary revenue steam*. *Bad food pun intended. Sorry. Thanks a lot for this really enjoyed reading it as I am totally crazy on yum cha and dim sum.